In sports and other physical activities, the part of the body that usually gets the beating is the knee. Although knee pain and injuries can be caused by sudden twists, falls and accidents, most often than not, wear and tear from overuse brings out these symptoms. Runners, as well as cyclists and basketball players are prone to knee injuries such as torn ligaments, stress fracture and runner’s knees, a result of a misaligned kneecap. Common treatments include stretching, exercising the gluteus muscles and wearing a knee brace for running. Around 25% of injuries being treated in sports clinics are caused by runner’s knee. Although this condition does not manifest overnight, this one develops gradually and is a result of wear and tear of the kneecap. Also referred to as “Anterior Knee Pain” and “Patella Femoral Syndrome”, the pain originates from the friction caused by the movement of the kneecap as it touches the back of the knee. Symptoms can include pain felt around the knee cap, specifically at the sides of the patella. It is also triggered by long distance running and descending the stairs. Two of the more common injuries associated with runner’s knee are patellar tendonitis and patellofemoral pain syndrome. The first condition is a swelling of the patellar tendon as it heals the tear caused by repeated stress while running and the pain is often felt below the knee aggravated by kneeling or bending the knee. Conversely, patellofemoral pain syndrome is the inflammation of the kneecap caused by the rubbing of the patella against the femur with the pain felt around the kneecap and made worse with going up and down the stairs. There are several options for treatment and pain management of running-related knee injuries, basically for swelling and pain reduction. It is important to strengthening the muscles such as the gluteus muscles to lessen stress on the knees. Moreover, it is essential to work on the muscles that affect the knee caps. Another effective treatment for knee pain is the application of ice on the affected area for about 10 minutes to reduce pain and swelling. Doing several knee stretches such as quad, glutes and hamstring stretches not only reduces the pain but also prevents knee injuries. However, it is best to strengthen these muscles first before stretching them. A visit to the orthotist is also recommended so he or she can help you in correcting your Q angle and foot position. Also, wearing insoles can lessen the stress on your kneecaps. When you visit a sports clinic for a knee injury, you can also be given non-steroidal anti-inflammatory drugs (NSAIDS) for pain relief. 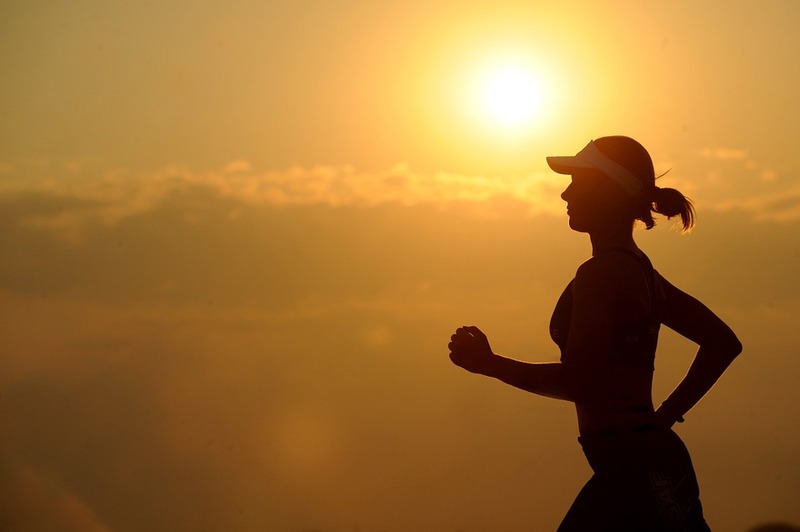 Since runner’s knee is more painful with continuous activity, it is also advisable to rest for a few days from strenuous activities, running included, and just gradually return to running and exercising. Although this is not the most common treatment, some people with knee injuries have to undergo knee procedures if the condition calls for such. One of the most common and effective management options for knee pain and injury is wearing knee braces. Apart from runners, basketball players, cyclists and other athletes use these braces. Knee braces are used to protect and prevent the occurrence of knee injuries such as torn ligaments and inflamed kneecaps. In cases where there are already injuries or the runner has undergone knee surgery, these prophylactic knee braces are also used to prevent further injuries. Moreover, they provide stability and support to the knees after a surgery or injury. Are you a runner who has not been spared from runner’s knee? 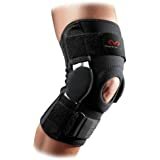 If you are, perhaps you have asked yourself repeatedly, “What kind of knee brace do I need for running?” Here, we will also discuss about knee brace types and other relevant information so it will be easier for you to pick the right knee brace for running. Also, you can get additional information from knee brace for running reviews to learn from those who have been in your situation. Always note: If you’re unsure what knee brace you should wear, consult your doctor first especially if you are allergic to neoprene. 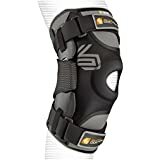 Knee braces come in different types and styles and knowing their distinct features can help you pick the best knee brace for running. This is a brace type that is stretchable and made specifically to insulate the joint. 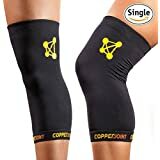 They come in varieties and can be the kind that works with patellar stabilizers and hinges or one that is worn as a sleeve which works to provide compression and retain heat. This is commonly utilized to stabilize the patella that becomes inflamed resulting from friction between the patella and femur groove. Braces of this type usually have straps or blocks to secure the patella even if the runner is in motion. Bigger than neoprene types, hinged-knee braces give more support and stability. They can also be tailor-made depending on the preference and need of the runner. Often used after knee procedures, they are designed with high motion of inertia to limit motion. These are ideal for intermittent swelling as it can be adjusted using Velcro straps. Also a common type, this is used commonly for minor injuries and for injury prevention as well. These can come in single or double straps placed over the knees to relieve stress from tendons. This type has magnets said to reduce pain and promote healing. Knee braces offer numerous benefits not only for runners but also to other athletes and individuals who have knee-related pain and injuries. They are used by runners to ensure knees are functioning properly despite constant stress from running. Moreover, knee braces reduce pain after an injury as well as prevent the condition from worsening. 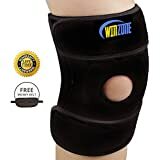 In order to find the best knee brace for running, it is important for an individual to know the extent of injury he or she has as well as the size of the knee brace needed. Knee pain and injuries are inevitable especially for active people such as runners and athletes. Good thing knee braces are available for injury and pain management and investing in one is essential. However, it is equally important to pick the right one by reading knee brace for running reviews and informative articles such as this. These sacs can swell and become inflamed with overuse or repeated pressure from kneeling. This is known as bursitis . This is very detailed and informative! 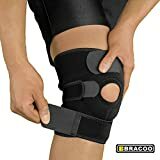 I’ll be sharing this with my friend who is an athlete as this will help him choose the best knee braces for running after recovering from a knee injury.